I have just caught up with this Frank. I am totally blown away by this model - not least those buckles!! The new shark mouth on the nose looks right to me - just a little rough around the edges as I think the original would have been. I seriously doubt whether many of these personalised markings were ever as perfect as represented on transfer sheets - they were applied in the fileld with whatever paint was to hand after all. Thank you Rick, Dave, Antonio, Giuseppe, Andreas Stephen for your supporting words! Fantastic recovery, I cannot wait to see that one at FFB! Only 3 weeksends left and still a lot of work. Hopefully just in time. I have just caught up with this Frank. I am totally blown away by this model - not least those buckles!! I try to improve my technology with every model, but this is the limit now in that scale. Really pitty, that I cannot buy such parts. Sure, but to paint markings like this by hand would be a lot of effort, and I'm not that good with hand painting. The next update follows soon. I start with the first rigging: the trim. Strange trim - not the elevator fin could be trimmed as usual today, but the "fix" part of the tail could be moved up and down at front. 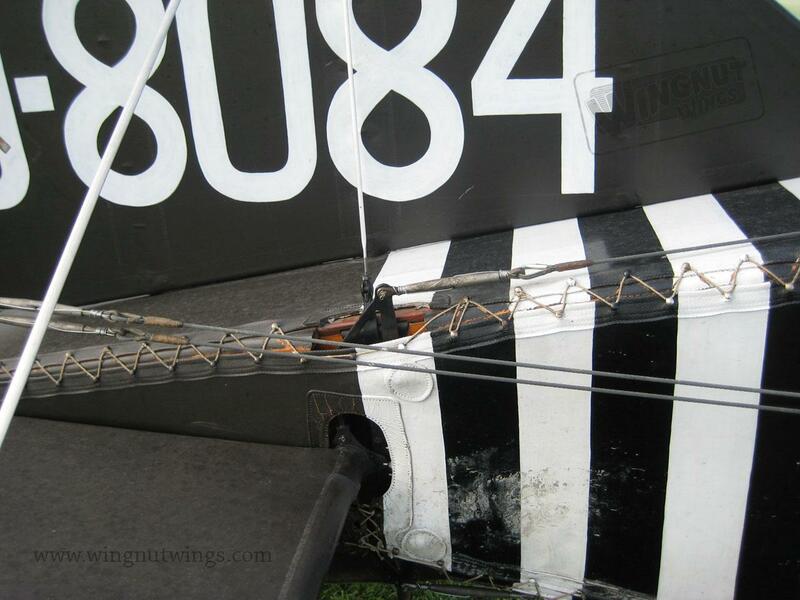 It has sophisticated ropes in the fuselage for that. The kit has the four smallest kit plastic parts for that, you see one on the globe of the Cent. ..to looks like the original. The turnbuckle was connected with 0.2mm nickel silver. The Eduard manual incluses a drilling drawing and a plastic rod with two knobs at the ends. That can be improved with pictures in the Datafile. This is a emergency control from gunners cockpit, later painted black. Scratched drain valve for the radiator. 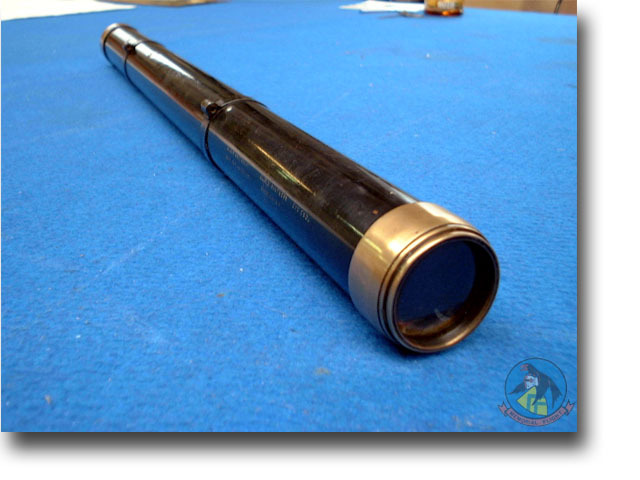 0.4mm brass tube, 0.4mm nickel silver tube as axle, 0.8mm brass and a brass grip. A 0.6mm brass tube was added to the radiator and the valve was glued into. Do not start the engine without water and closed valve! The stitching was dry painted with grey. The brass caps are glued and the tail is mounted. Please note the light shadows. For underside I decided for linen, so also decals. Upper wing with alu maintenance lids, decals and shadows. There is another formed decal with own number which is not mentioned in the manual. According to picturs it is for the middle part. Also detail painting with black fitting and steel colored bolts. Also detail painting of fittings. As always, stunning work This will be one Heck of a colorful aircraft when completed...as well as One heck of a Detailed Model! The next update will need soem time, I have to find a solution for the smaller rigging on top of the fuselage to the upper wing and on the tail. What a beauty! All these details and accuracy is not from this world. Again a masterpiece. Wonderful detailing Frank, the quality of the tiny additions you produce consistently for your builds is truly amazing. Great work! The extra details that you have added are beyond this world as Manni has commented. This is master-craftsmanship, not just modelling. Thank you Manni, Lance and Stephen, your words are highly appreciated! After a little bit of black paint all 16 wing brackets glued in. Struts pins fits into central tube. During mounting the orientation have to be respected, on which side doubles? Again the wings, because it's nice: view from back. Tried to add the fuselage to check the length of the struts: the upper wing needs to go more forward. But ... the 16 mounts are not enough! I need some additional ones for the fuselage, even if the rigging drawing is a bit confusing and wrong here. Again doubles are needed on the lower fuselage, but how? Some spares from the SE.5a build, used them for terminals on the fuselage. A broken off drill is a nice mounting handle. A bit later: after 28 indidual parts are coming together there are 4 terminals for fuselage. Added smaller tubing (0.4/0.6mm) for smaller inner rigging to upper wing, and 4 bigger ones for the wing landing wires. And now the subject: communication in the cockpit. Today there is the Intercom. But 100 years ago, in the noisy open cockpit? Nice PE in kit: communication plate, I created a wooden mount. Please note my small plate on top of the Cent, compared to a picture of a half stripped aircraft of a museum. So it is a support of symbolic language: allied/unknown/germans are clear. Does anyone have a idea about the right fields? 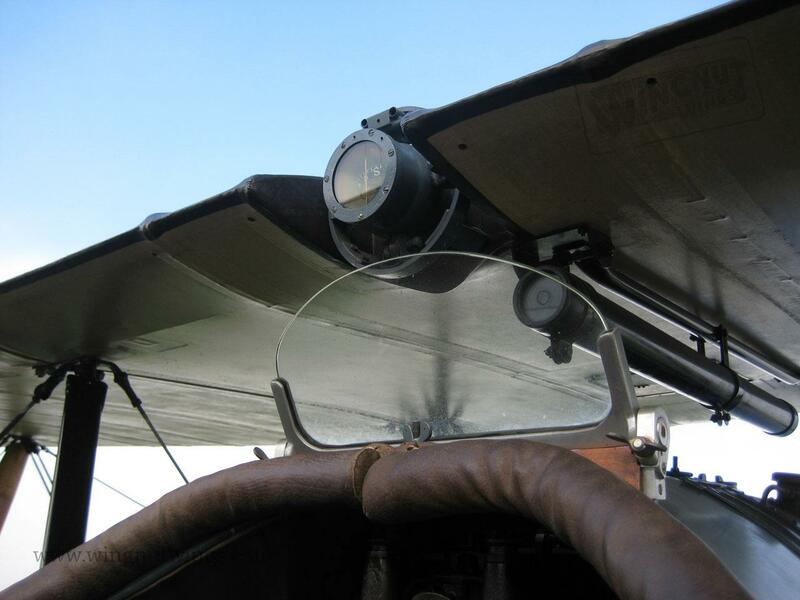 Mounted on the wing, also the sight. Only the compass is missing. The sight is another story, for next update. Bug, this work is quite amazing especially considering the scale. Awesome work as always Frank! Thank you Ryan and Rick! The sight mount from the kit is to big, to thick. The height is more then 3mm, but the free space between wing and fuselage of the model downscaled original is only 4mm! So it is sitting much to low and nobody would be able to look through. Removed the sight again. Made a new one from clear sprue and polished the ends. With brass ends, after I found the following picture. Compass parts of the kit. I drilled a whole and glued clear sprue in. The upper wing is now prepared for mounting, but the lower wing will be the first one. Only two weekends remaining until the exhibition in Fürstenfeldbruck!